When you teach chores to your kids you’re setting them up for success. Doing chores helps kids learn responsibility and—without question—boosts self-esteem. Instilling an understanding of chores early makes things easy. If you wait until your children are in elementary school you’re battling other developmental milestones and you could be in for a rough ride. The great thing about letting young children help around the house is that they love it! Kids love the responsibility because it makes them feel like grownups. I know you’ve heard your two-year-old say, “I can do it!” a million times. I say, “Let them!”. To set up your kids for success here are a few things to keep in mind when you’re teaching chores. This is the most important rule of parenting for all topics. Set the rules and follow through. I know it sounds easy, but it’s one of the key elements in effective parenting. Being consistent sets expectations for your child. Setting expectations starts the foundation of character-building skills that begin in preschool. Give your child a task that is doable and doesn’t need to be executed to perfection. Demanding perfection can damage a child’s self esteem and is counter productive. One of the goals of teaching chores to children is to build their self-esteem so they can feel good about themselves. Set them up to win. Give your child praise for a job well done; however, I’m not fond of the phrase “good job.” Try mixing it up a little bit. I like, “Thank you for helping,” or ” Wow, that was so helpful.” Using the same phrase repeatedly is ineffective and meaningless. Skew more towards a thank you instead of excellence. Just because a job is done doesn’t mean they need a trophy for it. Be sincere in your praise and a loving touch will seal the deal. Encourage your child to acknowledge how they feel after completing the task. “Caleb, how does it make you feel when you finish making your bed?” It is important that your child learns to recognize a job well done and value it has to the family and themselves. I’ve created a board on Pinterest that will help you choose age appropriate tasks for your child. Additionally, here are five chores that any preschool child can do. Labeled bins with pictures to make this easier. Sorting by categories is a pre-math skill. Your kid will understand that everything has a place and it makes clean up time a lot more manageable. 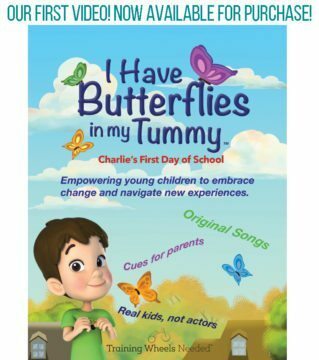 Once your child starts reading change the pictures to words to increase reading comprehension and vocabulary. Help your child learn the difference between clean and dirty clothes. Kick it up a notch have by having a sorting hamper that separates whites from colors. This becomes a math sorting skill. Have a special cup or drawer that your child can keep their toothbrush and toothpaste in. If the toilet is in the same room as the sink it’s best to keep toothbrushes and pastes in the drawer for sanitary reasons. Reinforce everything has it’s spot. Even the small things. Younger children can set their own place with unbreakable plates and glasses and also put the napkins on the table for the family. Setting the table is a great daily chore because it has immediate tangible benefits to your child directly as well as the entire family. They see what they’re doing helps everyone immediately. Making your own bed everyday has been shown to have numerous benefits. From being happier to being more successful in life. This is defiantly a chore that sets your kids up for success. Make this chore easier than ever by using a brilliant product called Beddy’s. It is like a sleeping sag for the bed and it makes making up the bed doable for any child. You may or may not choose to use a chore chart. It certainly isn’t necessary, but it can be helpful for some children. Encourage your child to roll up their sleeves and give a helping hand in family chores. 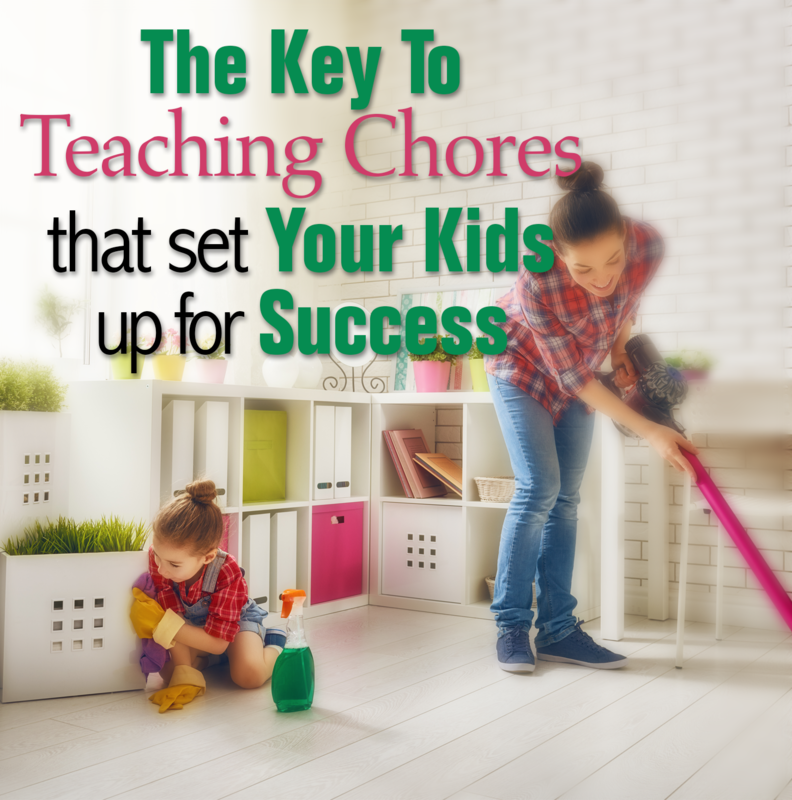 Teaching chores that set your kids up for success is a big part of your job as a parent. It helps them being great grownups, their self-esteem right now and it helps you around the house.